Alarming video footage filmed by a passenger on a United Airlines flight to Venice shows fuel pouring from a tank. Thankfully the aircraft was taxiing to the runway and had not yet taken to the air when the passenger Rachel Brumfield and her partner alerted cabin crew. At first the cabin crew dismissed their concerns, and asked the couple to sit back down, saying “everything is normal”. But the couple persisted and when the crew finally heeded them and looked for themselves, they immediately recognised that something was wrong and rushed to the cabin to tell the pilot, who powered down the engines. Fire crews arrived shortly afterwards. The crew then gratefully thanked the couple, offering them champagne and inviting them into the cockpit, where they showed the pilots the video they had taken. Apparently the pilots were shaken up by the footage. However, the favourable treatment by the airline did not last for long. The couple struggled to rebook their flight, and after they secured a flight for the following Wednesday with a different airline, the airline provided no further care except a food voucher, so the couple had to wait overnight in the departure lounge. Thankfully a good Samaritan who had been provided with accommodation by the airline spotted the couple and offered them his room for the night. 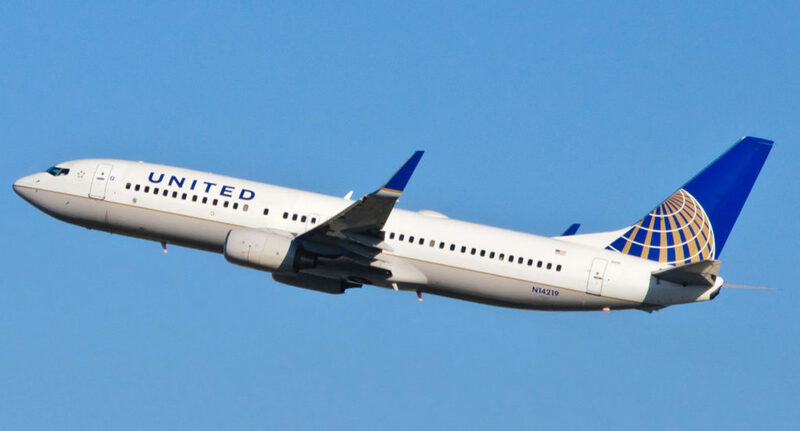 United Airlines confirm they offered affected passengers hotel accommodation until the next day when the flight departed, but for some reason did not extend this offer to all passengers from the flight. United Airlines have already come under fire this year following an incident where they forcibly kicked a passenger off a flight which they had overbooked. Footage of the incident circulated widely, and United have since told their staff to behave ‘as if they are being filmed at all times’.